VertexRSI Antenna Division Kilgore Texas. VertexRSI specialises in fixed and mobile satellite communication subsystems; fixed and transportable antenna systems in sizes ranging from 2.4 to 32-meters. VertexRSI State college and Duluth Facility Supplier of high power amplifiers, base band multiplexers and switching platforms, frequency converters, controls, plus design, engineering, integration, installation and commission of advanced communications systems. Prodelin specialises in providing high quality and cost-effective .75 to 4.5 meter antennas for the Very Small Aperture Terminal (VSAT) marketplace and terrestrial microwave antenna products. Comtech EF Data has a unique ability to deliver bandwidth-efficient and scalable solutions to cellular operators. With our satellite modems and transceivers, you can achieve bandwidth optimization, resulting in significant operating expense savings. Comtech EF Data designed cellular backhaul-enabled satellite modems capable of delivering optimal performance and spectral utilization at multiple layers. With the industry’s widest range of forward error correction, modulation formats and code rates, our modems can provide the right combination to simultaneously optimize transponder,power and bandwidth. Paradise Datacom is world renowned for its equipment design, which offers attractive features and great versatility to satisfy a wide range of needs in satellite communications applications. These products include satellite modems, SSPAs, Transceivers, BUCs, LNAs and associated redundancy controllers. Paradise Datacom is a member of the Intelek group of companies which supply leading edge technologies to the world’s electronics and aerospace markets. Xicom offer the world’s most extensive product line of tube-based amplifiers. Highly regarded for their reliable output power and efficiency, Xicom Traveling Wave Tube Amplifiers (TWTAs), Klystron Power Amplifiers (KPAs) are used in broadcast and broadband applications throughout the world where customers need to increase power and bandwidth. Xicom High Power Amplifiers (HPAs) provide power levels vital to satcom applications, both traditional broadcast, the DTH, SNG and flyaway markets, and emerging broadband, specifically the IP-over-Satellite market. Peak Communications Ltd is a high quality designer, manufacturer and supplier of commercial and military satellite communications equipment. Peak Communications supplies to major telecommunications companies, system integrators, satellite users and defence agencies worldwide. Mitec has and excellent reputation for the design and supply of sophisticated components and subsystems for Satellite earth stations. 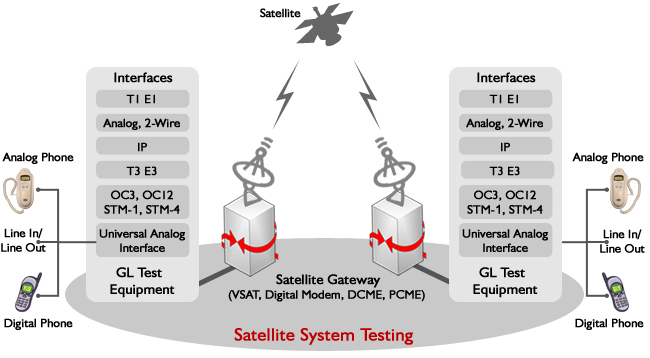 Most of the ground based satellite communications operators around the world uses their Switching and Combining Systems as well as their range of Block-Up Converters offered in a wide range of frequencies.